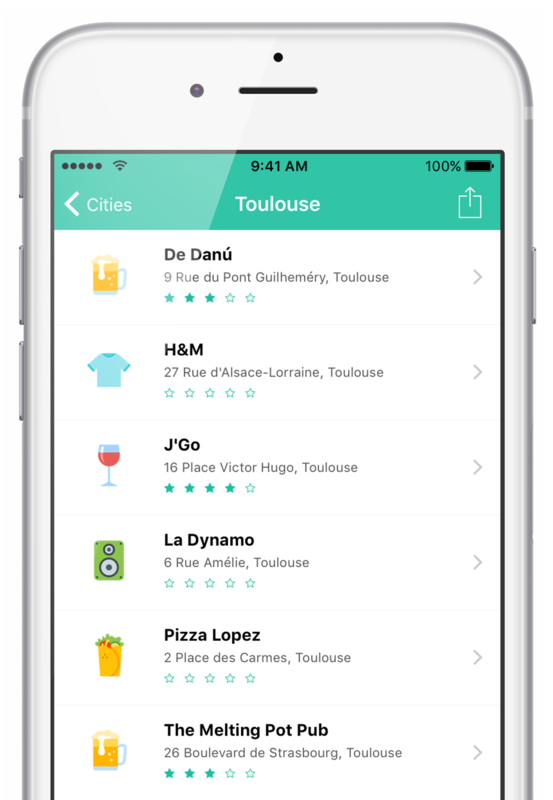 Placeboard is your personal organizer to remember places and share them with people you know. Want to quickly remember a restaurant or shop when you are passing by, a mountaintop while hiking? Or share some nice bars and museums you discovered the last time you went to Barcelona? I would recommend Placeboard to anyone who has a bulging bookmarks folder of places they really want to visit. You really don’t realize how often you search for a restaurant or a bar until you start saving them all in one place. A handy little app to have to keep track of places I love and ones I want to hit up someday. The app itself is minimalistic, pretty easy to use, and has a lot of flexible features to make it work for you. 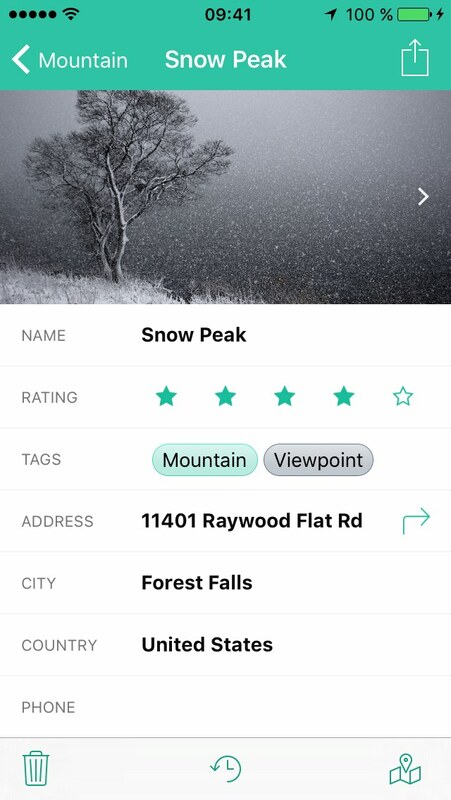 Tag, rate and add notes to your places. 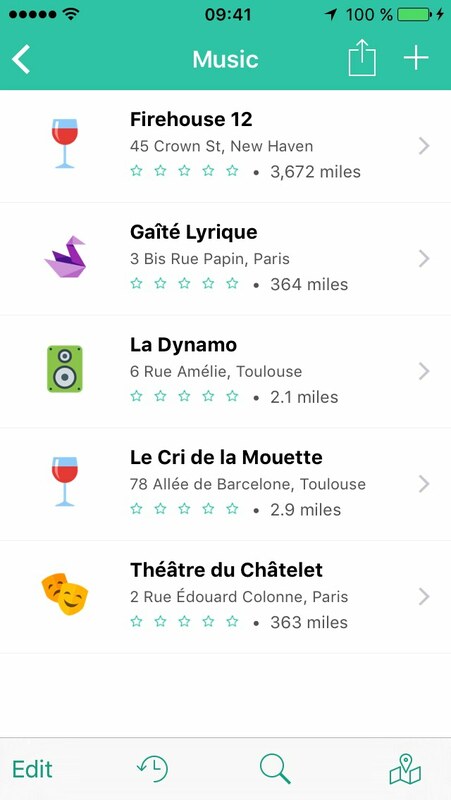 Browse your places automatically organized by city. Keep places unclassified when you want to. Create collaborative place lists and invite other Placeboard users to follow them or contribute. For privacy, we encrypt share list data sent over the network — on our side, we cannot even read their content. Select one or more places and send them to others with SMS, Mail, Twitter, Facebook, and more. Placeboard will automatically select the most relevant info and optimize the message formatting. Toggle map and search visibility at any time. 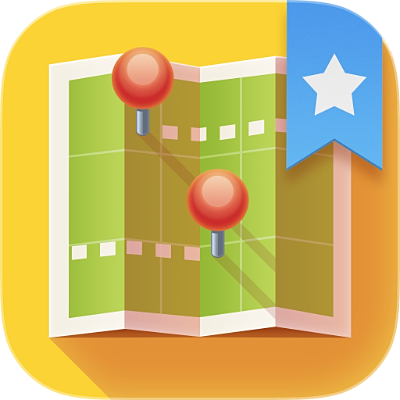 Search your places by name, address, notes, tag etc. 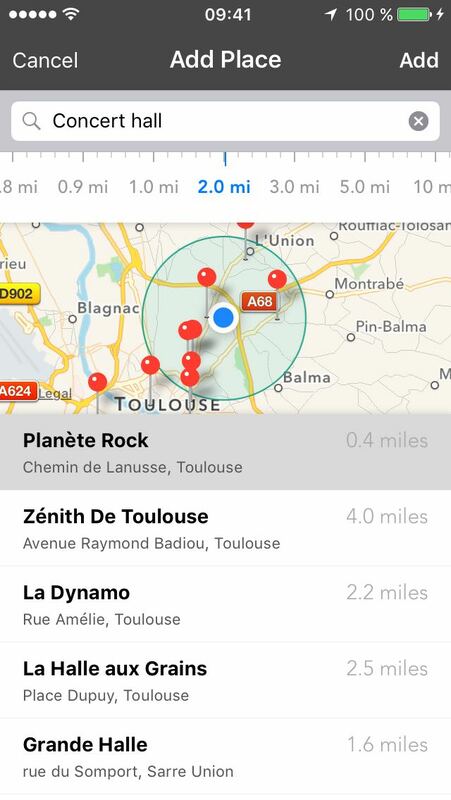 Use the distance picker to refine results to what's around you. Double tap the map to go full-screen. 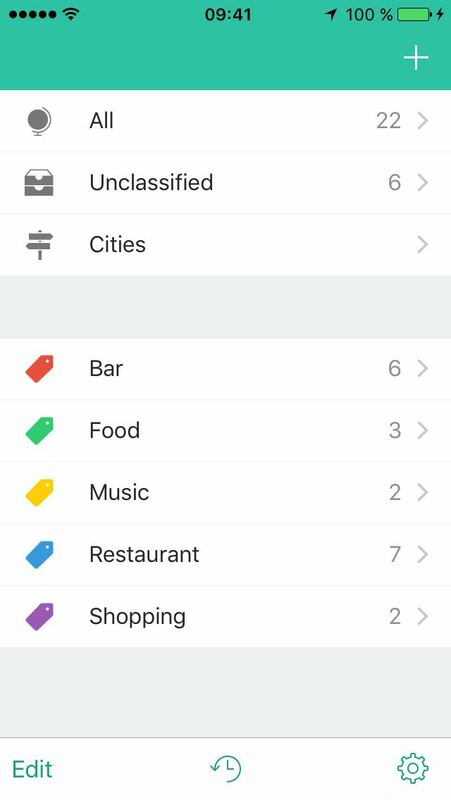 Find new places to add with the same user experience. Attach one or more photos, reorder them, browse them in a list or full-screen. For every new shot, Placeboard will even keep a full-resolution image in an album in the Photos app. Backup your entire place database to iCloud Drive, DropBox, Google Drive, and other similar services (requires the corresponding app to be installed). Switch between backups without relaunching. Achieve every action in a minimal number of steps. Enjoy a more fluid user experience, with inline tag and distance pickers. Forget about confirmation dialogs thanks to our undo/redo support. See all your changes or the ones related to the current screen, then go back in time. 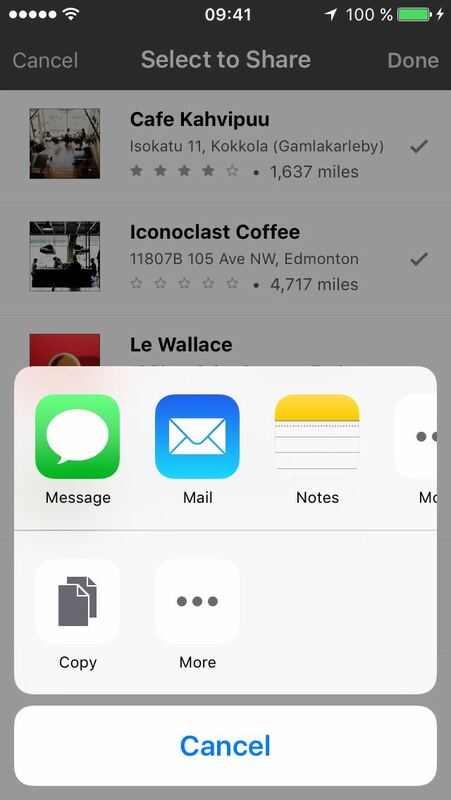 Swipe a single change in the history from left to right to undo it, without losing what you did after. Forget about poor landscape support without much love put into it. For Placeboard, we built the entire user experience to support portrait and landscape properly. Do you want to hear about the latest releases or any upcoming version? You can subscribe to our newsletter. We won't send you more than a mail every one or two months, promised! Do you want to know when we release an iPad, Android or Web version? Leave us your email and we'll tell you when we announce Placeboard on a new platform. Interested in testing upcoming Placeboard versions? You can become a beta tester and help us to shape the next release. Placeboard is powered by CoreObject and created by Quentin Mathé.